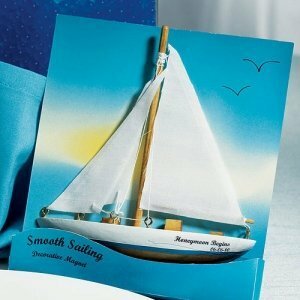 SHARE This intricate sailboat features a wooden hull and cloth sail detailing. 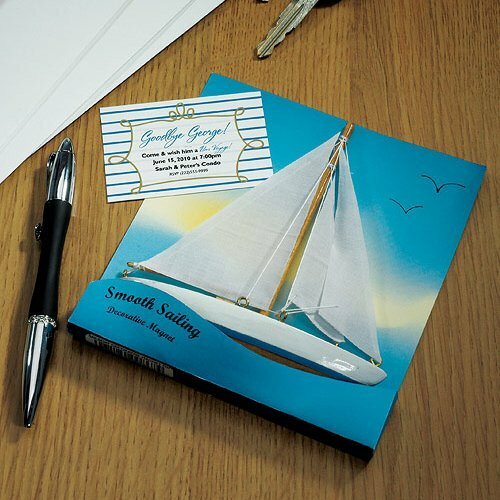 Two magnets are embedded into the back of the sailboat for firm hanging on any metal surface like a fridge or file cabinet. 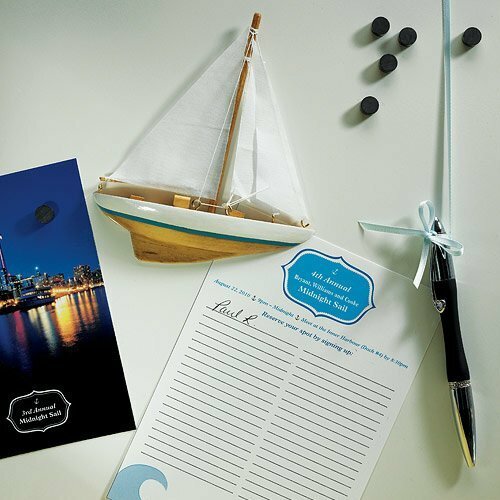 Great magnet party favors for nautical, destination or beach themed weddings....also perfect for boat parties! Magnets are sold in sets of 6. 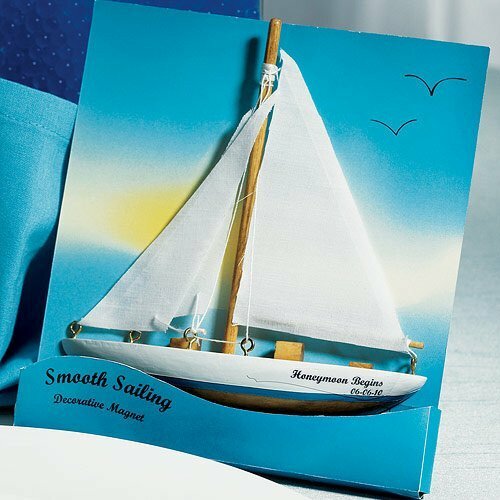 Each one arrives in its own little stylish blue package that reads 'Smooth Sailing'. Product dimensions: 5 X 6". 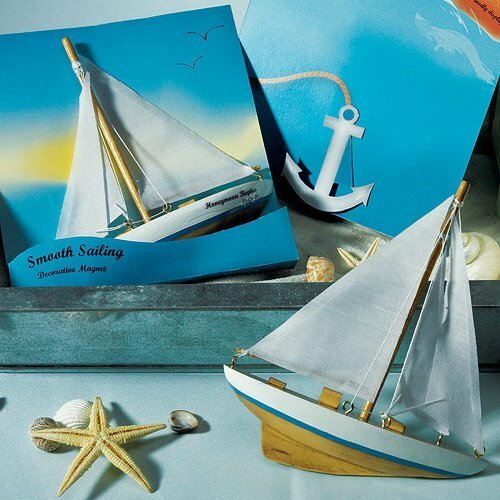 on the sail boat it appears it says Honeymoon begins and it has a date? can they be personalized? what is the message size limit? The sticker used is sold separately and can be found by clicking here. Text line 1 maximum characters is 18 and text line 2 maximum characters is 10.